In collaboration with Ikkan Art Gallery, Singapore based-artist Nandita Mukand presents her solo exhibition “Mind(less) Wilderness” in Miaja Gallery. 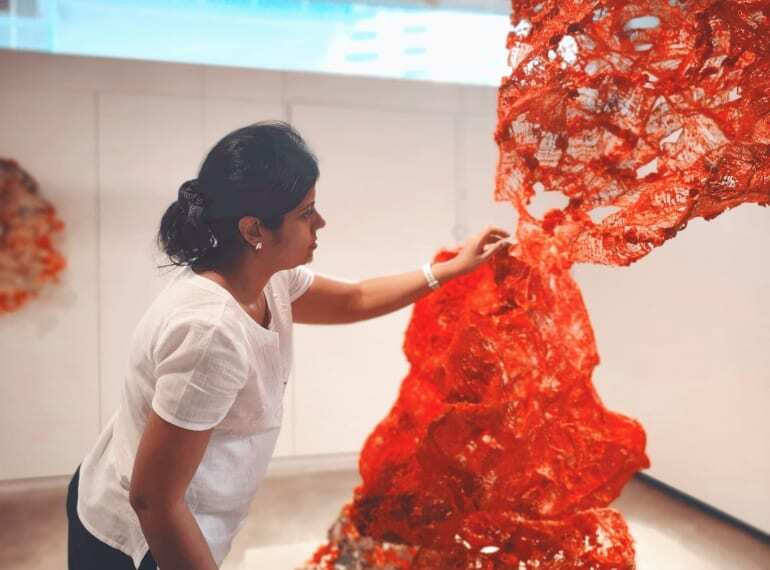 Drawing upon resources as diverse as neuroplasticity, quantum physics, contemporary Buddhist texts, and ancient Vedic literature, Mukand’s exhibition mingles observations of how plants grow in the forest with the workings of the urban mind. Artist Nandita Mukand and curator Tanya Michele Amador will be reflecting on aspects of creation, growth, resilience, adaptability and transformation in . Together, they will take you through the ethereal, yet powerful multi-disciplinary exhibition of compositions that use synthetic and organic materials to present a breath-taking presentation that illustrates the urban mind in a contemporary world.